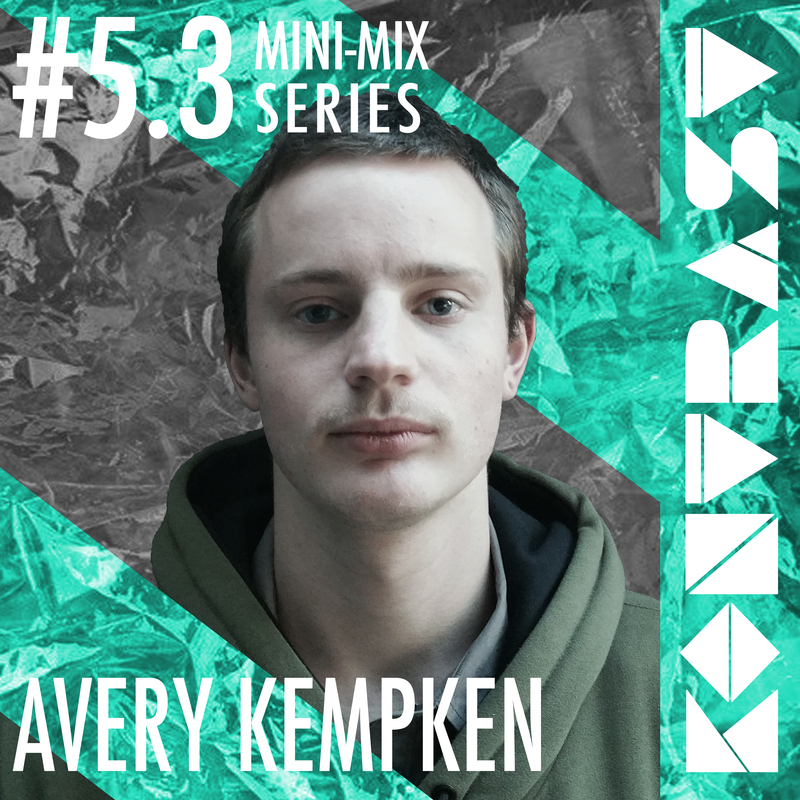 Avery Kempken is a young upcoming DJ and producer from Melbourne that has from a very young age been counting bars and moving his body accordingly in time, being raised as a classical ballet dancer rhythm has always been an incredibly important part of his life. His way of composing a DJ set to attract the audience and lure them in has drawn much inspiration from his ballet days. When Avery discovered techno he instantly felt nostalgic and pictured himself back in a studio dancing to nothing more then the accompaniment of a pianist, however then having an internal beat in his head that was inaudible to the audience, now it was dominating the sound system around him. The types of music that he play and the times in which he chooses to play them is heavily influenced by his history with performing on stage. In a dance you play out a story from start to finish; an introduction, a plot, a climax and a final conclusion. This type of structure is what Avery is aiming to re-create in his DJ sets, while the audience can imagine being a character in a story and the people around them are participating characters. You could say he has taken the Orchestra’s dictator position when he’s DJing and turned the stage into a dance floor. You can see Kempken playing for various big techno parties and crews around the city such as Bunker, Melbourne Techno Collective, Stranger and Unfold, as well as being part of the Harmony Gardens festival crew. This young man has a lot of talent to show and someone to keep an eye out for in Melbourne’s techno scene. Who is your biggest music inspiration at the moment? Most recently I have found myself drawing inspiration from two artists; Evigt Mörker and Acronym, Mörker because of his exceptional choir like pads and soundscapes, Acronym because of his deep rolling bass lines. Was it the pressure of the ‘Melbourne techno clean boy haircut brigade’ that made you cut off your previous long luscious locks? Haha, No. I had a man bun for about six years, and one morning I woke up and felt a change in the wind so I decided to shave it off, and I got tired of shedding like a dog. You’re a part of the Nadabrahma event crew that are organising the outdoor festival Home Gardens. What made you choose the iconic but tucked away location Halls Gap in The Grampians? Holding Harmony Gardens at the Grampians wasn’t so much of a choice, rather more of an opportunity that fell into our lap, we were fortunate enough to meet one of the key members of the Indigenous community of Halls Gap and when we were looking for a site he was looking for a festival to occupy the land he had, from there everything just fell into place, in a way. KONTRAST is a collective of creative spirits who loves to combine raw sounds, dark, thumping beats and intense, edgy musical experiences with extraordinary visual elements in an experimental and innovative way. We want to build something new, colourful and unforgettable and to explore how sounds, shapes and visual imprints together can create something bigger than ourselves, and a different state of mind.The fifth series of the KONTRAST mini-mix series will run from September 7th to 28th, and there will be an exclusive podcast from each artist with a short interview to get to know them better. To learn more about KONTRAST Collective check out their Facebook Page. Listen to the previous mini-mix series on their Soundcloud.